2.The fare calculation structure has been improvised to provide precise fare estimation to passengers. 3.The performance of the applications has been enhanced. i) The Passenger App has been enriched with a booking option for passengers to make multiple bookings. 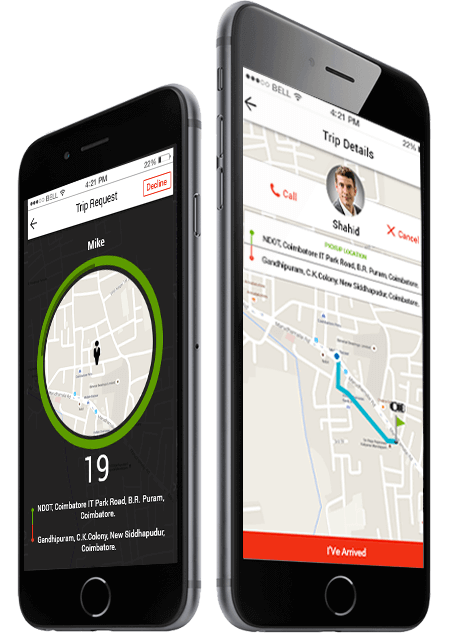 For instance, if a passenger is in ride and wants to book a cab for his friend or relative, he can book using this option. ii) If a passenger’s requested vehicle is not available at the time of booking, he/she can avail the next high-end model for the same fare, if the driver has enabled this mode in settings. For example, a passenger is requesting a mini cab. In case of the unavailability of that particular type vehicle, the passenger can go for an available sedan type vehicle at mini cab’s fare. iii) An Account Settlement feature has been introduced with which we can get to know the details of payables/receivables to/from the drivers. iv) Payment through Stripe – Passengers can save their Credit Cards in the app for trip payments in a secured way with Stripe tokenization method. v) Model-based Commision – System has the privileges to set varied admin commission for different types of vehicle models (instead of common commision for all models). vi) Subscription fee with Tax – Tax can be added separately for the subscription fee at the backend. vii) Socket communication has been improved. 1. 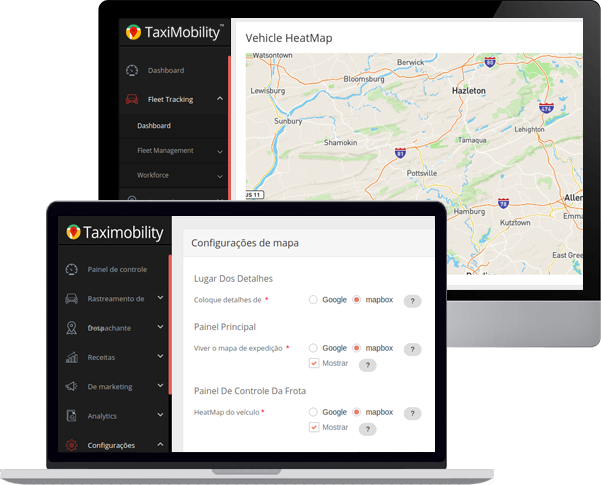 TaxiMobility and its applications are made GDPR compliant to ensure safety and transparency. Have access to the emergency button from the beginning of the trip till the end of the trip. Add their emergency contact details in their application to be notified during an emergency situation. Also update their three emergency contacts even if they are booking through the website. ii) Drivers can access the emergency button all the time whether they are on trip or idle. iii) The administrator can retrieve the SOS history with complete details of the emergency situations. 2. The Portuguese language has been added to the list of multi-language options. The dispatcher panel and passenger app are enhanced to display live car movement on the home screen. 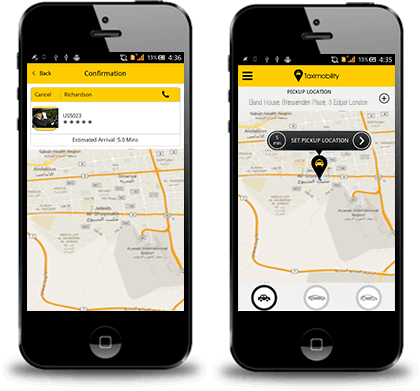 Passenger app has been updated with two package plans: Rental and Outstation. 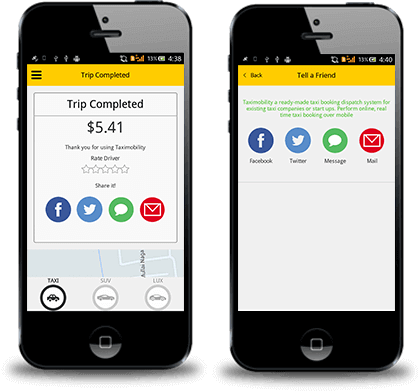 Driver app is upgraded with commission-based driving option (wallet system) or subscription plan with booking limits. 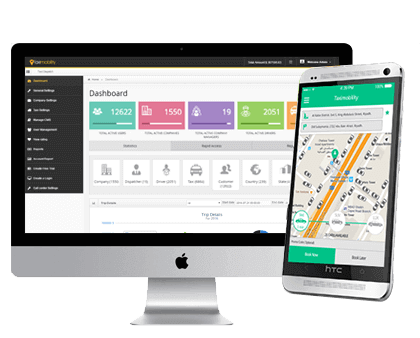 Various processes have been simplified with the improved UI and UX designs. Server–User interaction is improved with Socket integration. The passenger is availed with other options in vehicle types for the same fare if the requested vehicle is unavailable. Idle or inactive user sessions will be automatically timed out to improve system security. Dynamic SMS gateway solutions are included. Notifications are sent to the admin/company for every driver withdrawal request. 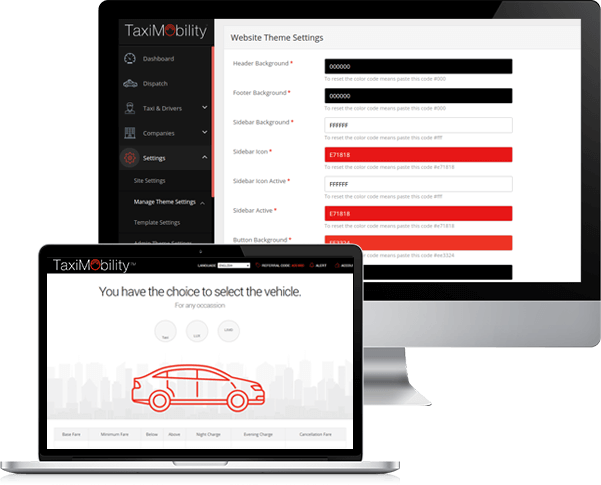 Drivers are also notified on requests being either approved or rejected by the admin/company. 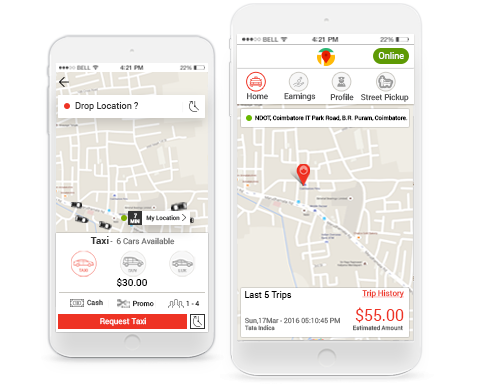 Option to calculate waiting charge included even for street pickups. Updated with links to the charts and graphs to get a detailed report. Search option enabled in all drop-down lists. SendGrid added for all email transactions. 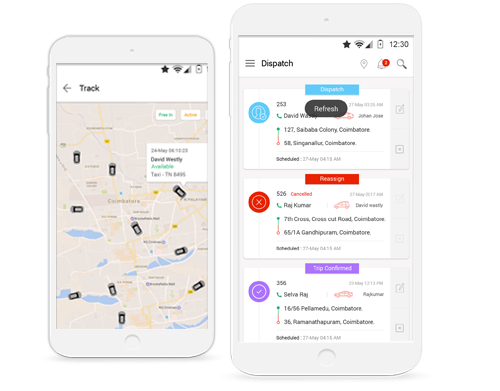 Introducing the first ever dispatcher app! In addition to the dispatcher app, check out the other enhancements here. Expense management – Various categories can be created in the back end to manage and segregate expenses as Rent, Salary, and so forth. The service request running in the driver app background is configured based on driver status for reduced battery consumption. Any changes made to the app color or language get reflected once the driver relaunches or open the app the next time. 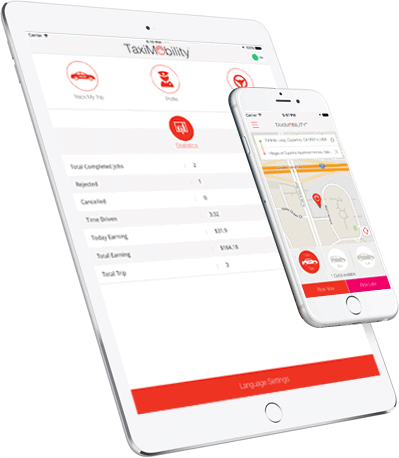 The driver app is refined with performance improvements. Notification is added to split fare with friends when a passenger cancels a trip or change the drop location. "All types of places" option is enabled in the Google Places API to auto suggest maximum number of locations. 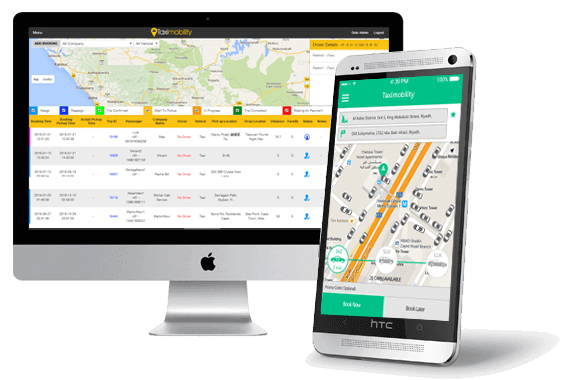 The passenger app is refined with performance improvements. The email template is made customisable by the admin. 'Tour' functionality is added in the web application to walk through the information on the Menu. The theme settings can be configured in a few simple steps. A color code option is added to modify the UI of the web panel. The Passenger App booking screen is enhanced with improved UI and more Favourites options. 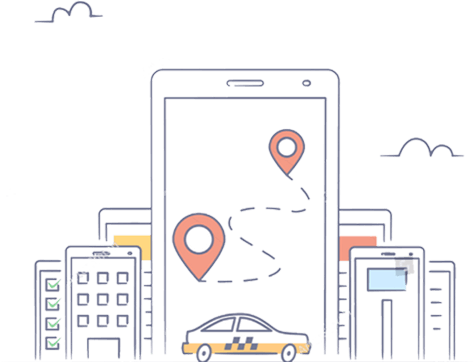 Enabling the Favourite place option in Settings will automatically save the pick up and drop off locations as Home or Workplace. More choices with two themes to select from for your website Front panel Landing screen. Enhanced with two additional payment gateways [Authorize.net, Stripe]. Provision for Admin to add popular pick up/drop off points of a particular location in the back end. 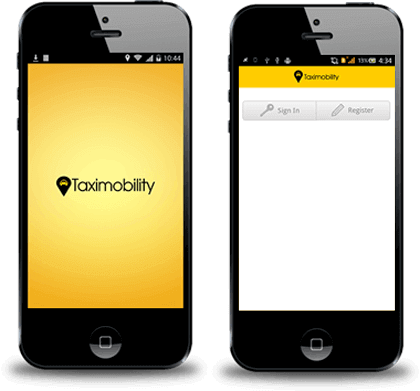 Passengers can easily select their location if it is any of those popular places displayed on the Home screen. Changed Google Maps as the default map type, providing the option to otherwise select Foursquare API as per your preference. Securing your website using a 256-bit key to encrypt or decrypt your most sensitive and important data. 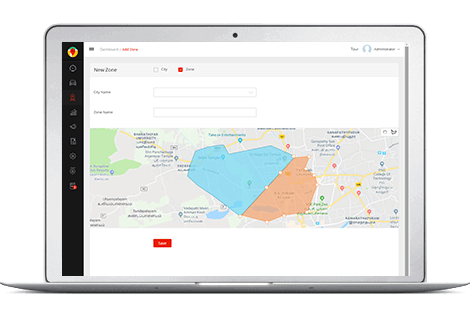 Street pick-up feature is enabled to pick up passengers on the route eliminating the waiting time for another request. Street pick-ups & earnings are counted as working time. Detailed report of daily income with graphical representation is provided to manage earnings. The previous trip details are updated with Map integration to determine the route travelled. Amended with miscellaneous performance improvements & UI changes. 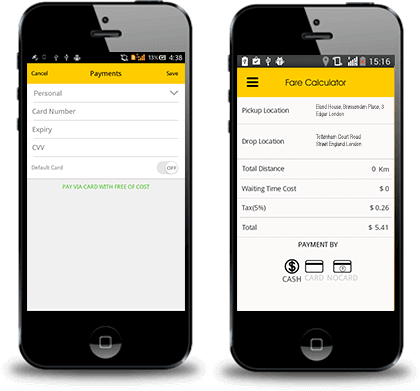 E-receipts are augmented with extensive details on distance, duration, fare, waiting time, discount & wallet balance. The feature to select the reason during ride cancellations is included as mandatory. A “Help” page is annexed to submit all passenger queries. Admin panel comprises of Single/Multi Brands [ Companies ]. ** Single - admin can add / assign drivers directly with no intermediate companies; Multi - Admin can include a company & assign drivers under that particular company. 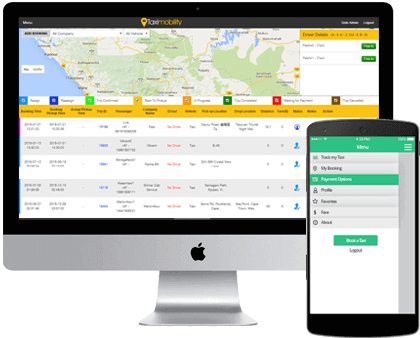 Admin can manage both Driver & Company withdraw requests. 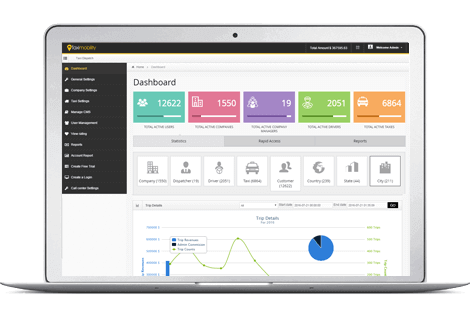 Admin Dashboard is enhanced with additional statistics on Live Dispatch, Company wise trip details, Payment by Company, Trip requests from City and Company, & Driver Revenue Graph.